IoT can be a real pain to manage. It is messy, made up of solutions from a host of different OEMs that don’t often talk to each other, and as much as they are built with the best of intentions this just don’t meet with your perfect view of what IoT should be delivering. So it is as a result of this that we took to the drawing board and developed an end-to-end IoT (Internet of Things) solution, which we believe will assist customers with the development, management and deployment of successful IoT implementations, from sensors, through to the gateways, dashboards and analytics. 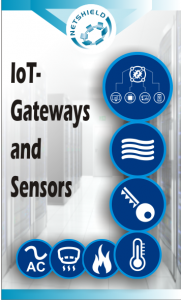 The benefit here is that we are a local OEM of IoT intelligent gateways and sensors (amongst others), so in dealing with our customers we have identified a need by customers to deploy IoT environments that extend the full implementation and management of the solution. So we took it upon ourselves to partner with myriad vendors to pull together tailor-made IoT systems that meet a variety of customer needs. So many companies already have parts of an IoT environment already installed in their business, but are unable to pull these together to get the full benefit from the data derived from them. By creating the relationships we have and using our experience, we can offer a full end-to-end IoT experience, without the need to get multiple vendors and suppliers involved, and that comes in at a fraction of the cost. You may be ready to receive millions of packets of data from your IoT sensors, have an IoT gateway setup, even have the analytics in place, but are unable to pull it all together. This is where we come in. Our offering is not built on a single vendor, so if your installation is simply not working optimally or it’s a completely new solution, we can help by just adding a few components into your environment. Our partnerships include: bandwidth providers, cloud IoT gateway suppliers, storage organisations, software houses and analytics solutions, which we have coupled with our own monitoring and control solutions, dashboards, intelligent gateways and sensors – for a holistic view of your IoT. Some of the vendors we have a relationship with today include: IBM, SAP and Microsoft, as well as a host of cloud providers and a number of component suppliers. Ultimately an IoT environment is made up of components from multiple sources, we cut through the need to involve multiple management components and have created intelligent gateways that ensure the delivery of your data through each stage. This is delivered in a single dashboard from which you can view, monitor and control your IoT environment. Our intelligent IoT gateways are fairly unique in that they don’t rely on constant connectivity in order to perform their functions, even if connectivity is lost they can continue the process themselves. In addition, the systems are able to provide monitoring and remote control, enabling customers to control and command sensors and the like remotely. By packaging IoT solutions we remove complexity and simplify the process. Our customers can log into an app, type in an IP address, and immediately see what is going on. It has been simplified to such an extent that it will take less than 15 minutes to train someone in a call centre to operate, and then help a technician in a field. We will provide you the simplicity you need, a single layered OEM approach, and a solution that can be tailored to your needs. We partner with you, our customers, and will happily sign a long-term working agreement – because we are confident that what we can offer will answer your needs.